Mussels are an overlooked but very important species in our aquatic ecosystems. The very presence of freshwater mussels in our waterways indicates at least a modicum of health in those waters. Mussels are diverse and often very beautiful in form. They have a unique life cycle that depends on another species for successful reproduction. Human over-harvesting on some rivers drove some species to extinction and others to the brink. Luckily, today, with protection and encouragement, some species are holding their own or increasing. 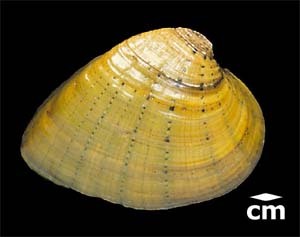 an illustrated introduction containing pages on the anatomy, habitat, life cycle, human uses, and diversity of freshwater mussels. a link to the Harvesting the River Online Exhibit that explores the economic life of the central Illinois River since 1850.